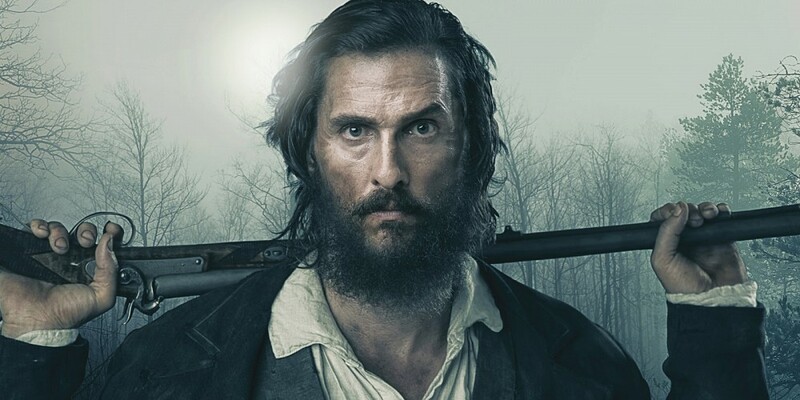 This weekend I caught a showing of The Free State of Jones, a movie about a comparatively unknown chapter in the history of the Civil War and Reconstruction, starring Matthew McConaughey. Since I’ve spent nearly three decades teaching and writing about this period of American history, I thought I should check it out. I should say up front that, as a historian, I have a love/hate relationship with historical movies. On the one hand, I’m generally thankful for any cultural influence that directs our attention to the past. If a fraction of the viewers who turn out to see Free State are inspired to dig deeper—maybe even to read a serious work of history about the period—then I suppose I should be thankful, and to a degree, I am. On the other hand, however, the medium is generally bad at conveying complexity—and history is nothing if not complex—while the need to turn a profit reinforces the tendency to emphasize entertainment at the expense of accuracy. I know I should be thankful when Hollywood encourages us to pay attention to the past, but I am always left wondering whether the movie in question does more harm than good. In particular, I worry about the implicit lessons that historical movies teach us about what history is and what it means to think historically. This scares me. I worry that our entertainment-obsessed culture will only take the past seriously when it is packaged in two-hour-length segments of gripping entertainment. And I worry even more that we will confuse these two-hour-length segments for the past itself. History is not the past but an argument about the past, ideally grounded in logically compelling historical evidence. Historians don’t discover the past “as it actually was” in the archives; we do our best painstakingly to recreate it, weaving interpretations that are always imperfect and always debatable. Any movie “based on a true story” is similarly offering an interpretation, with the difference that there won’t be footnotes and a bibliography; we’ll be invited to accept the interpretation on faith. So one common response is to take the claim of historical accuracy at face value and assume that we are learning something true; the other is to take the claim at face value and question whether accuracy even matters. Read the “critical reviews” that have appeared over the past few days and you’ll find that this is the ubiquitous message. Reviewers praise the movie for director Gary Ross’s “unusual respect for historical truth” and then move directly to the political implications of the movie’s message or the quality of its artistry. Did the pacing lag? Was the plot too sprawling? Was McConaughey really wearing dental prosthetics? “Of course,” I can hear you replying. “That’s what movie critics do.” But when a movie claims to be teaching us about the past, I fear that critics’ calculated indifference to historical accuracy reinforces one of the besetting historical sins of our culture: to evaluate history on the basis of its artistry or political usefulness, rather than its truthfulness. Oh well—end of sermonette—let’s talk about The Free State of Jones. The movie focuses on an area in southeastern Mississippi that became famous for its resistance to Confederate authority. The soil in this region of Mississippi was not well-suited to the production of cash crops, and most of the white families who settled Jones County were small farmers who concentrated on livestock growing and had little connection to slavery or the cotton economy. When the state held a referendum on secession after Abraham Lincoln’s election to the presidency, the white male voters of the county originally opposed secession by a large majority, but when the state as a whole overwhelmingly endorsed disunion, they quickly fell into line. The exigencies of war have a way of exposing the faults lines of communities at war, however, and pretty soon the support of Jones County’s yeomen for the Confederacy began to erode. The imposition of conscription in the spring of 1862 had a lot to do with this, as did the subsequent passage by the Confederate Congress of a ten-percent “tax-in-kind” on all agricultural products. Soon, the white yeomen of the region believed that they were caught up in a “rich man’s war” in which slaveless farmers would be forced into military service while their families were brought to the brink of starvation by a heartless government interested only in the welfare of large plantation owners. Over time, more and more of the white Confederate soldiers of Jones County fled the front lines and returned home. These deserters would provide for their families as best as they could, and “lie out” in nearby woods and swamps whenever Confederate troops were rumored to be nearby. Increasingly, they also interfered with Confederate tax agents sent to confiscate a portion of their crops and livestock. 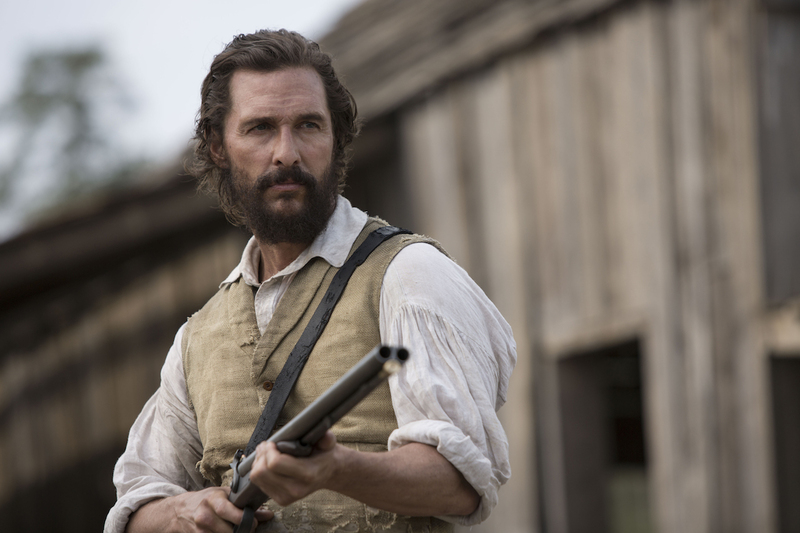 Eventually, their resistance to Confederate authority became more organized, thanks in part to the leadership of farmer Newton Knight (played by Matthew McConaughey). When Confederate authorities sent troops into the region to regain control, Knight’s band participated in a series of bloody skirmishes. Whether Knight and his “company” ever formally declared their independence from the Confederacy is highly debatable, but their disenchantment with the Confederacy and willingness to resist Confederate authority with force is undeniable. 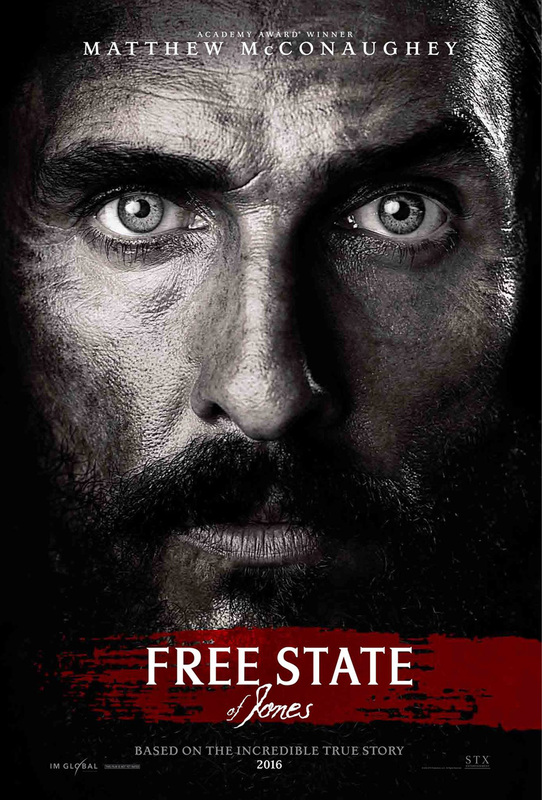 So what is the historical value of The Free State of Jones? I have taught a course on the American Civil War a couple of dozen times over the years, and one of the themes that I stress in each one is that we cannot begin to understand the Civil War accurately as long as we see it as a straightforward struggle between a unified South and a unified North. Both regions experienced extensive internal dissent, and coming to grips with this transforms our understanding of the war’s contemporary and long-term significance. The Free State of Jones explodes the myth of a solid Civil-War South, and I think that’s valuable. A second theme that I always stress in Civil War courses is that, while northern victory resulted in the end of slavery, the question of what “freedom” would mean for former slaves was not remotely settled when Lee surrendered to Grant in April 1865, nor would it be settled for decades to come. At least a third of The Free State of Jones involves the post-war Reconstruction era—a period Hollywood almost never acknowledges—and the movie effectively hammers home the reality that the official demise of slavery did little to weakens the ubiquitous racism that had been a bulwark of slavery for at least a century and a half. This also, is valuable. But the movie is also full of all kinds of historical inaccuracies and outright silliness. Many of the movie’s errors are trivial: the real Newton Knight was 24 years old in 1862 when the movie begins, about half as old as Matthew McConaughey. A villainous Confederate colonel wears three stars on his collar, which was the insignia of a lieutenant general. At a poignant moment in the movie, Knight’s followers lower a Confederate battle flag that is ubiquitous today but would not have flown over a Mississippi courthouse in 1864. (The flag was primarily employed by the Army of Northern Virginia during the war and did not become synonymous with the Confederacy until the 1920s.) Not much here to get worked up about. Other of the movie’s inaccuracies probably help to make the movie more entertaining. The best example here would be the battle scenes. According to Victoria Bynum, the historian who is by far the leading expert on Jones County’s civil war, there were at least a dozen skirmishes between Knight’s followers and Confederate troops during the latter half of the Civil War, but they were invariably small affairs involving a few dozen individuals at most and never exacting more than a handful of casualties. One of the first major “battles,” for example, just before Christmas 1863, resulted in Confederate casualties of one dead and two wounded. I assume that in a culture utterly inured to violence, director Gary Ross thought that the less bloody reality would simply bore the audience. If the battles in Jones County were typically small skirmishes, they also mostly pitted white males against white males, with few exceptions. The film, on the other hand, insists on portraying Knight’s band as a “racially and sexually integrated paramilitary utopia,” in the words of one trenchant review. This is Hollywood fabrication. Bynum stresses that both enslaved blacks and white women were important to the success of the Jones County resistance, but in ways that, while still heroic, were more prosaic. Both slaves and the resisters’ wives supported Knight’s company in invaluable ways, but primarily by smuggling food to the deserters when they were lying out and by alerting them to the approach of Confederate soldiers. Director Gary Ross has them in the thick of the fighting. The most ridiculous scene in the movie comes when Knight has planned an ambush of Confederate soldiers monitoring the funeral of a recently-hanged deserter. The funeral procession consists primarily of middle-aged farm wives who, when the signal is given, pull revolvers from their shawls and, quite literally, begin blowing the heads off of Rebel soldiers at point-blank range. The later portrayal of a shoot-out at the county seat features rifle-toting wives in their bonnets charging Rebel troops, loading cannon, and otherwise striking fear into the heart of the Confederate army. This is manufactured out of whole cloth. What bothers me most about the movie, however, is not the minor inaccuracies or even the inanities but the egregious way that Ross has made the entire story into a simplistic morality play. Newton Knight is delivered to us as a noble Robin Hood with twenty-first century racial sensibilities who would probably be a Sanders supporter if he were alive today. The real Newton Knight did father at least five children with a former slave who became his common-law wife, but the movie’s depiction of Knight’s racial views is almost entirely conjecture, and Ross has chosen to skip over well documented episodes in Knight’s life that would complicate his heroic persona. (There is evidence that he murdered his brother-in-law in cold blood during the war, for example, as well as testimony suggesting that he urged his mixed-race children to “pass” as white rather than challenge southern mores unnecessarily.) On the other hand, every Confederate character in the movie is either a non-entity (enlisted men with no lines) or smarmy villains devoid of decency. History can be a wonderful framework for moral reflection, especially when we allow our engagement with the past to expose our own hearts. The best histories of slavery and the Civil War force us to confront our own propensities for moral compromise and injustice. We need to see white Confederates—even white defenders of slavery—as three-dimensional humans no more prone to sin and self-justification than we are. We need to get to know them well enough and gain enough understanding of their circumstances to confess that we might have behaved in the very same way if set down in their shoes. The Free State of Jones just encourages us to feel superior. This entry was posted in American Civil War and tagged Civil War, Gary Ross, historical accuracy, Jones County Mississippi, Matthew McConaughey, movie, movie review, Newton Knight, Reconstruction, The Free State of Jones, Victoria Bynum. Bookmark the permalink. I always wonder if historical films would be possible if they were really, really accurate, and by that I mean the heroes exemplified the way people thought back then. As you have pointed out, the “heroes” in such historical films always seem to adopt worldviews or philosophies that come from our day than from their time. I doubt many would appreciate a film that showed the racial attitudes of the day, or would want to hear some of Lincoln’s statements about race that we would consider extremely racist in our day. As usually enters into these historical discussions, complexity is rarely appreciated and few would want to consider that heroes in times past had views of the world and other people that would not make them heroes to us now without understanding the age in which those heroes lived. I remember a statement Mel Gibson made in response to some criticism about his film “The Patriot”: “Pick up a book” in order to get the real story and not swallow Hollywood entertainment as historical truth. Good thoughts, Tracy. Thanks for taking time to put them out there. I feel there’s a bit of “bah humbug” in here, though. You’re quite right, of course, that a film is going to have a point of view, and must dramatize elements of any story, if only to have dialog that typically must be made up. Whether “Selma” or “Lincoln” or “12 Years a Slave” (to name a few recent examples), I think your objections will always hold true. But couldn’t some of the same critique be made of many books? I think some people have said the same about some of the source material for these film, i.e., that they leave out critical counterpoint, simplify, etc. albeit at a whole other level. I think the very fact that this film can elicit a thoughtful response from an esteemed scholar of U.S. history is a testament to its success and seriousness. I think everyone should see this film, followed by a conversation about the film, perhaps reading some essays about it. Film is such a powerful medium, it should be an indispensable part of our educational arsenal, and I’m quite glad for this one. Hi, Brian: Thanks for reading my blog! Thanks also for pushing back a bit, and for sharing the link to the review on CNN.com, which I had not seen. Author Lisa Woolfork makes some intriguing observations about how to read the movie, and I recommend her review to readers. I’ll stop for now, but I may try to address your point in a full post sometime soon. Thanks, Tracy – I WAS going to see that film, but now . . . . Just kidding of course. Great review. I wonder if in our materialistic view of reality with a collateral adoration of science (or magic) if it isn’t close to a necessity to establish a sense of our superiority over and over again? How can there be inexorable progress if we are not living at its pinnacle? I am reminded of another anecdote in Wineburg’s book of a 7th grade (I think) student explaining to a Jewish man who had survived the Nazi death camps just how he could have easily turned the tables on his jailers and escaped. His history was informed by the various Rambo movies that taught him how to do it! His “education” in our popular culture effectively prevented him from learning from history. What did it also teach him about these seemingly docile Jewish people that perhaps he has carried into his adult life? Excellent review and god thoughts on the special problems of historical films in general. To be fair, I wanted to point out that in the Confederate army, three stars was the correct rank insignia for a colonel (frustratingly, all Confederate generals of whatever rank wore the same insignia: three stars in a wreath). It seems that may be one of the few superficial things Free State of Jones got right. …there is a real danger of historical falsehood being popularized through the film, because there is not the normal chance of one film being corrected by another film. When a book appears displaying a doubtful portrait of Queen Elizabeth, it will generally be found that about six other historical students are moved to publish about six other versions of Queen Elizabeth at the same moment. We can buy Mr. Belloc’s book on Cromwell, and then Mr. Buchan’s book on Cromwell; and pay our money and take our choice. But few of us are in a position to pay the money required to stage a complete and elaborately presented alternative film-version of Disraeli. The fiction on the film, the partisan version in the movie-play, will go uncontradicted and even uncriticized, in a way in which few provocative books can really go uncontradicted and uncriticized. There will be no opportunity of meeting it on its own large battlefield of expansive scenario and multitudinous repetition. And most of those who are affected by it will know or care very little about its being brought to book by other critics and critical methods. The very phrase I have casually used, “brought to book,” illustrates the point. A false film might be refuted in a hundred books, without much affecting the million dupes who had never read the books but only seen the film. The revisionism of historical films is evidence of the fundamental hypocrisy of our culture. Society invokes, knowingly or not, the golden rule of Christianity to argue for equal rights for all, yet turns a blind eye to the murder and dismemberment of the weakest among us. We are indeed filling up the measure of our fathers. So well done, Tracy. I havenât seen the movie and probably wonât, but I enjoyed your analysis, and I share your trepidation about historical movies. However, our students often get their understanding of the past from movies as Wineburg so brilliantly points out, so we have to work with that as well. It does provide a teaching opportunity, thatâs for sure. Thanks for this excellent post, friend!